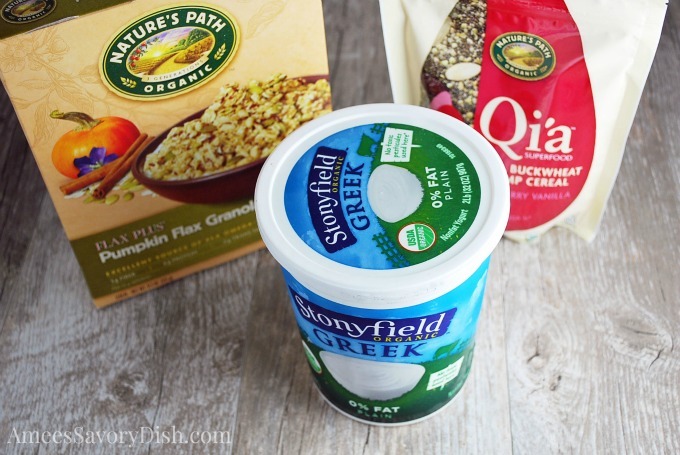 *This post is sponsored by Stonyfield and Nature’s Path Organic. All opinions are my own. There are endless options to making a yogurt parfait. My favorite ingredients include Greek yogurt, seasonal fresh or dried fruits, whole grain cereals, nuts, seeds and a natural sweetener. Honey or pure maple syrup are great options. Nature’s Path Organic Pumpkin Flax Granola and Qi’a Cranberry Almond pair with yogurt like peanut butter and jelly. So good! Nature’s Path cereals are both USDA Certified Organic and Non-GMO Project Verified and operated as an independent, family-run, company. The Pumpkin Flax Granola is enriched with pumpkin and flax seeds to offer up 450 mg of Omega-3 fatty acids. The Qi’a is a superfood cereal with vanilla-infused cranberries, sliced almonds, chia, hemp and buckwheat for a great source of ALA Omega-3’s and dietary fiber. Qi’a also contains amino acids, protein and essential vitamins and minerals. A couple of tablespoons of these cereals really kicks up the nutrition a notch in your favorite yogurt creation. 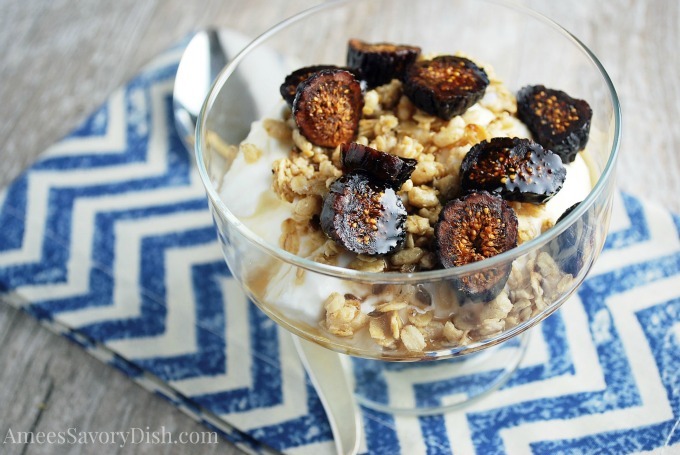 This Maple Fig Yogurt Parfait is made with California dried mission figs, plain Greek yogurt, Pumpkin Flax Granola and a drizzle of real maple syrup. 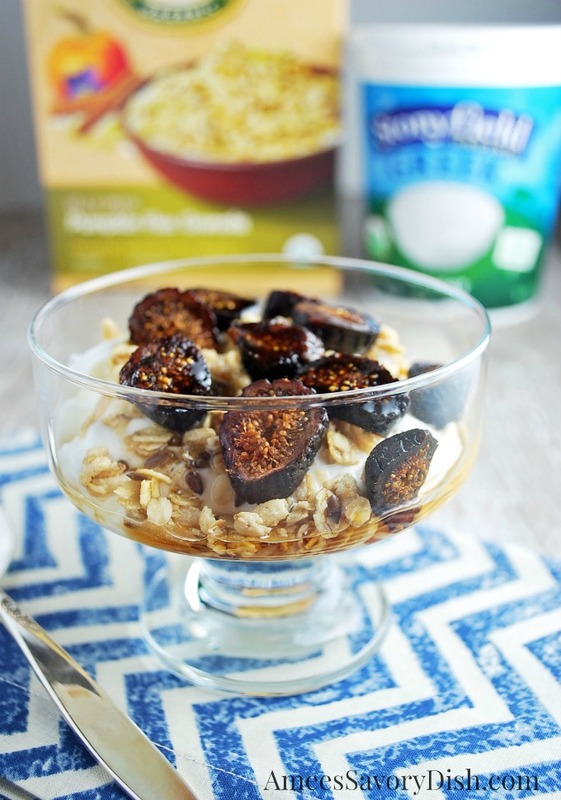 Enjoy this nutritious yogurt parfait as a delicious breakfast or filling snack.